Growth Hormone Boosters7Nutrition AOL 900 - 120 tabl. 7Nutrition AOL 900 - 120 tabl. Excellent combination of Arginine AKG, Ornithine and Lysine. Powerful dose of 2700 mg per serving! These three amino acids were famous in combination, which naturally releases growth hormone (GH) affecting the strength, lean body mass and a reduction in body fat. AOL 7Nutrition 900 is a combination of Arginine AKG, Ornithine and Lysine. Powerful dose of 2700 mg per serving! These three amino acids were famous in combination, which naturally releases growth hormone (GH) affecting the strength, lean body mass and a reduction in body fat. 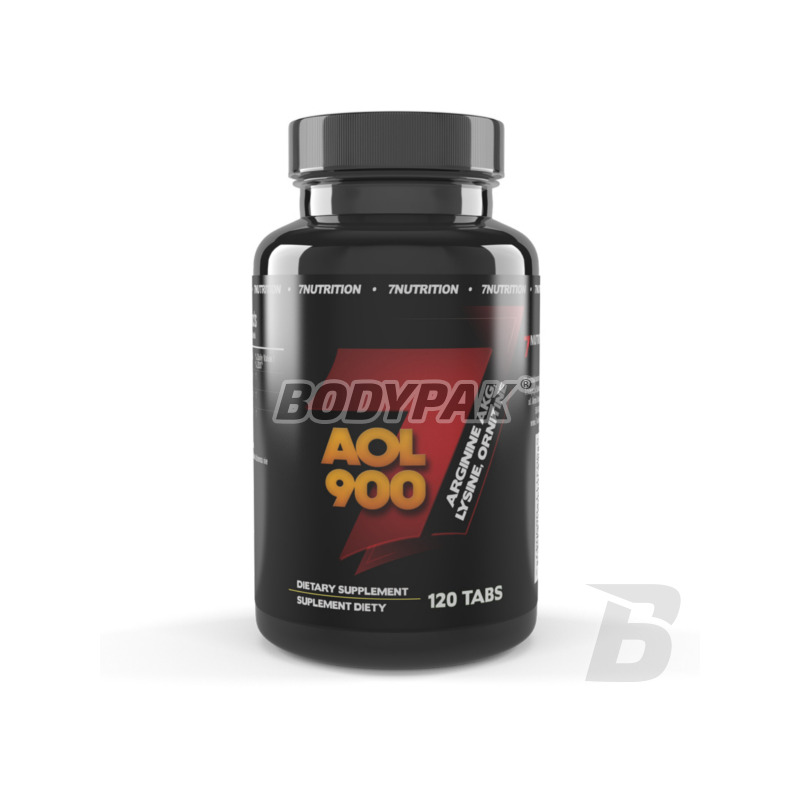 AOL 900 is ideal for supplementation before bedtime, affecting the level of the hormone produced during sleep. Table 3. before going to bed. Składniki: arginina AKG; lizyna; ornityna HCl; wodorofosforan wapnia; fosforan wapnia; substancje przeciwzbrylające (sole magnezowe kwasów tłuszczowych). Kupiłem, stosowałem, i wyrobiłem sobie opinię - warty swojej ceny. nie tylko pomaga w uzyskaniu lepszej pompy ale też wzmaga produkcję hormonu wzrostu - nie sprawdzałem ale czuję olbrzymią poprawę! Trec GH UP - 120 kaps. Activlab HGH Night - 60 kaps. A comprehensive formula designed to increase the level of natural growth hormone, which is unrivaled influence on the most important aspects of bodybuilding training. Amix GH Stimulant Maximum - 120 kaps. Specially selected combination of amino acids in order to enhance secretion of natural growth hormone within the first hour of sleep! Bet on the proven! Trec GH Turbo NIGHT - 120 kaps. UNS L-Arginine & L-Ornithine - 30 tabl.